I use blogging as my biggest excuse to horde a ridiculous amount of skincare and beauty products. Literally, I have a 9 drawer Alex unit and 8 of those drawers are taken up by my supplies. Most of which have either been enabled by other bloggers or from me jumping on a well everyone’s blogging about this bandwagon. The rest have either been sent to me or I’ve been gifted in goodie bags from multiple events. 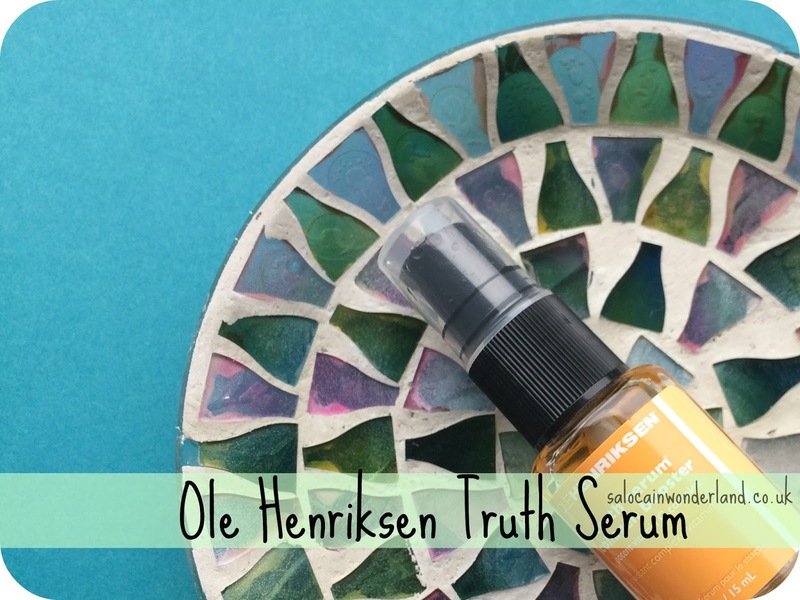 This is how the Ole Henriksen Truth Serum Collagen Booster came into my life. I found this in my Girl Gang event goodie bag, along with a couple of other Ole goodies. Yes, that was a while a go. and yes it has taken me that long to get around to finally using it! I always thought vitamin C boosting products would make my skin too shiny. Having been ridiculously paranoid about oily skin in my teens, then finally learning to embrace it in my late twenties, a little glow and shine can go a long way. It helps your skin to look and feel like it’s been off adventuring in the great outdoors when in reality, you’ve been indoors all weekend, hunched over the laptop watching YouTube videos and spoon feeding yourself Nutella and rainbow drops. (fact). The Truth Serum is designed to fight the visible signs of ageing by firming, lifting and of course, brightening the skin. 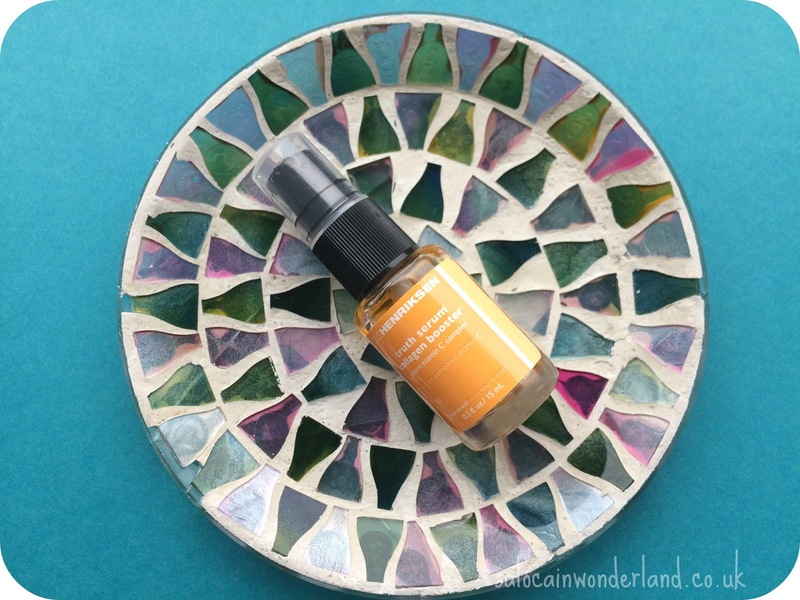 After a morning cleanse and tone, with my skin still slightly damp, I take two pumps of the serum and massage it into my skin. I don’t know if it’s a sign of some serious dehydration but my skin drinks this up faster than I can apply it. It leaves my skin feeling a little tacky for a couple of minutes but once it’s dry, I’m good to go in with my moisturiser and get on with the day. I’ve been using this as a part of my morning routine, one to make it last longer and two, I feel like my skin benefits from the brightening effect more. Because it is bright. My skin just glows, but not in a greasy, sweaty kind of way, more like a healthy brisk walk in the countryside kinds way. It smells amazing. I’m all about the citrus when the sun finally starts to shine, it’s so fresh and uplifting. I read something once about how it’s been proven that by looking at orange coloured things or smelling citrusy scents, it does lift your mood. Could be mind over matter here but it does give me a little pep in my step, even after a crappy night's sleep. Could your skin do with a little pick me up? This sounds lovely! I love a good serum, and citrus scents, so this sounds right up my alley! I'm a sucker for citrus! It's one of my fave scents and always puts me in a good mood!